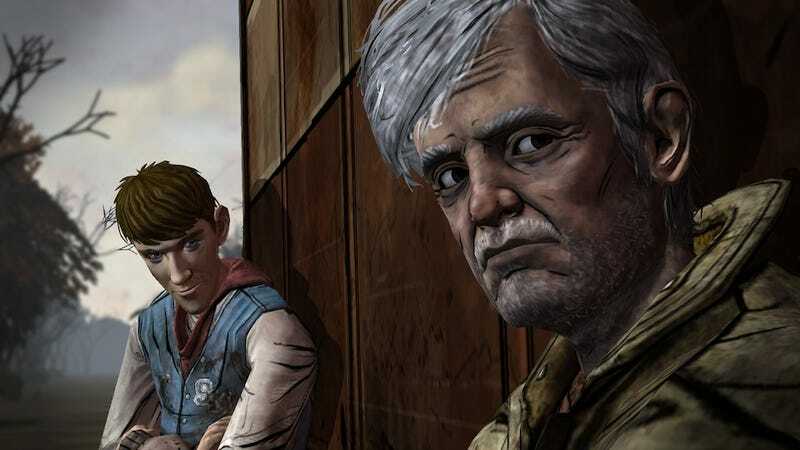 Zombie adventure and critically-acclaimed GOTY candidate The Walking Dead has made waves all year for its top-notch writing and ability to make people feel feelings. One of the game's feelingest feelings, by all reports, comes during the last few minutes of Episode Five (out of five—the game is structured episodically). Psyched to feel those feelings, I sat down this weekend with my iPad, ready to start the final episode of The Walking Dead. I had beaten Episode Four a couple days earlier, so I could import that file and carry over all the decisions I had made. My body, as the colloquialism goes, was ready. This is when I realized that Episode Four was gone. It had deleted itself from my iPad. I tried rebooting the game. No luck. I tried rebooting my iPad. That worked. The game re-appeared. But my save file had been totally screwed: when I tried picking up where I left off, I found that I had lost hours of progress. I finished the game, and it was great, and full of feelings, but the experience was ruined. This wasn't my Lee. He wasn't trying to protect my Clementine. They were total strangers, whose decisions had nothing to do with the ones I had made. No wonder people want their money back. And this episode-erasing bug isn't even the worst of the ones that have been reported. It's a shame that such a great game can be marred by so many technical issues. I've reached out to The Walking Dead developer Telltale Games a couple of times now about these bugs. No response yet. I'll continue to update you as we find out more.